Augmented reality (AR), or the technology that superimposes a computer-generated image on a user's view of the real world, is not breaking news. Think Pokemon Go or Snapchat filters. That being said, Apple’s announcement of their new developer platform, ARKit, at their annual World Wide Developers Conference in June, enables state-of-the-art AR technology to become an increasingly relevant part of our daily lives. Simply put, ARKit allows developers to build augmented reality apps for Apple products. Unlike earlier iterations of AR technologies, ARKit uses SLAM or simultaneous localization and mapping to recognize objects and their position in relation to the camera. Although a preview version was made available in June, iOS11, which includes ARKit, was officially released at the Apple Event in September. Developers have since begun using ARkit to design their apps. According to a 2017 report by ARtillry Intelligence, “ARKit-enabled apps will run on as many as 500 million devices by the end of the year". One of the first apps to use ARKit is Ikea Place. It should be noted that five years ago, Ikea tried to incorporate augmented reality into an app. Although it attempted to bring the company’s products off the pages of their print catalogue using an early version of AR, the app was riddled with glitches and problems with the 3-D design. But they were on to something. After researching their customer’s habits, Ikea found that 14 percent of people have bought a wrong-sized piece of furniture and more than 70 percent of people don’t know how big their homes really are. Released in September of this year, Ikea Place sets out to solve their customer’s problems and redeem the flaws of their previous app. Address the diminishing trend of brick and mortar furniture stores and the increasing popularity of e-commerce. Using Apple’s ARKit, the Ikea Place app allows customers to visualize what Ikea furniture and home decor would look like in their own space. So what does Ikea's new app do? Sure, it lets consumers place Swedish furniture just about anywhere. But more than that, it solves customer’s problems and aggregations relating to interior design and decoration. 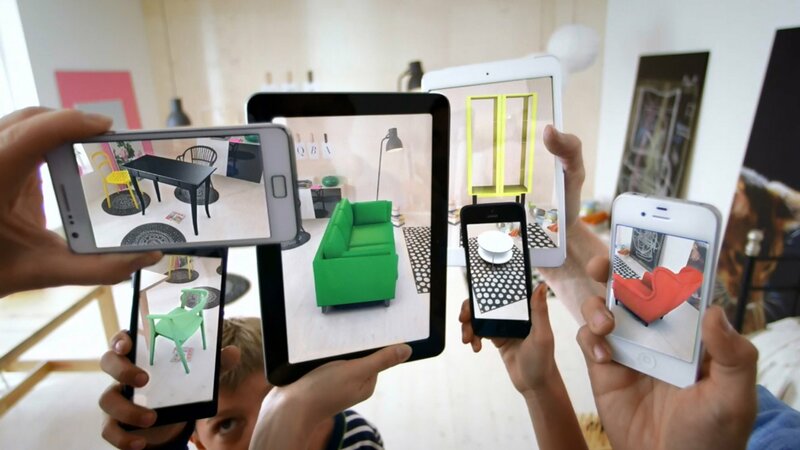 With brick and mortar retail stores struggling to compete with e-commerce websites, Ikea Place takes the popular furniture and home design store to the 21st century by utilizing augmented reality. AR has already had an impact consumer thoughts and behavior. 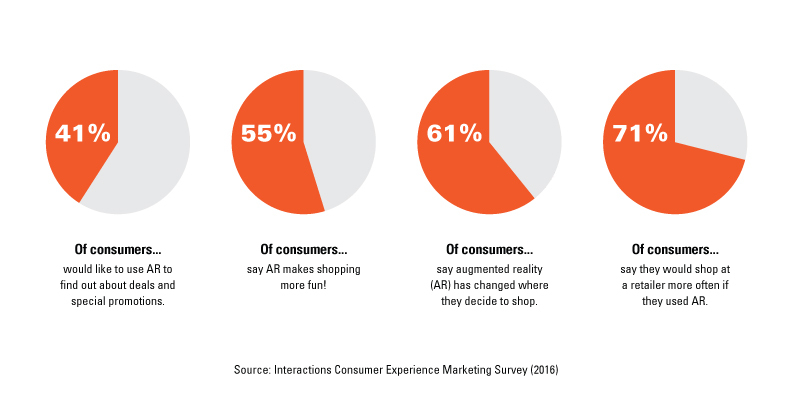 A study conducted by Interactions Consumer Experience Marketing gives some insight on how consumers feel about AR in relation to retail shopping. The release of Apple ARkit and other technologies will continue to lower the barrier to entry for AR. We at the Mole are excited to see how other companies and brands use Apple’s ARKit! Mole Street is a digital and experiential and marketing agency based in Philadelphia. In addition to providing digital marketing services, Mole Street partners with agencies, brands, and organizations to deliver data-driven results for branded experiences and activations. If you'd like to learn more about augmented reality and how Mole Street integrates AR technology into our client's campaigns, please contact Principal, Brendan Walsh below for a complimentary 30 minute consultation.